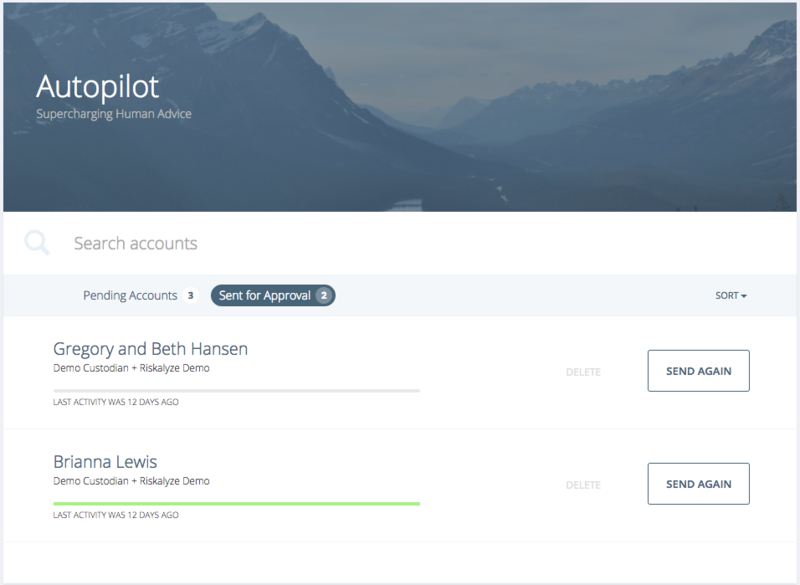 The Autopilot tab allows you to view the status of account opening applications, resume account opening sessions, and resend important information your clients need to be successful using Autopilot. The green progress bar shows how far each account opening is from completion. If you start preparing forms for a client but do not finish, you can use the RESUME button to pick up where you left off. 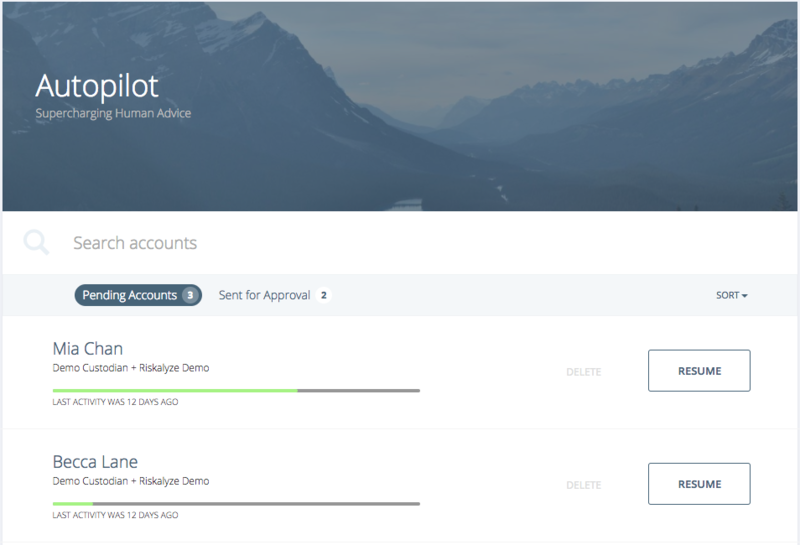 If for any reason you decide you no longer want to continue account opening for a client, you can simply delete the attempt by clicking DELETE. If for any reason your client did not receive an email providing them a link to sign, you can resend the forms by clicking SEND AGAIN. If for any reason you decide you no longer want your client to have access to finish account opening, you can simply delete the attempt by clicking DELETE.